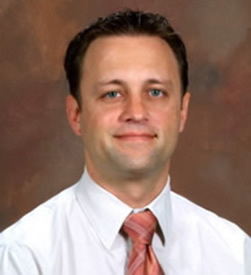 Dr. Bernard is board certified in both Pediatrics and Pediatric Endocrinology. He grew up in upstate New York and earned his undergraduate degree at Williams College in 1993. He then worked in Boston, Massachusetts for 3 years before attending the State University of New York (SUNY) at Stony Brook School of Medicine, graduating in 2001. He completed training in Pediatrics (2004) and Pediatric Endocrinology (2007) at Washington University School of Medicine in St. Louis. Following completion of training he was a member of the faculty in the Division of Pediatric Endocrinology at Washington University. He then moved to Augusta to join the faculty at the Medical College of Georgia, where he practiced pediatric endocrinology for more than 3 years, serving the needs of the children of the state of Georgia. During his time there, he also ran a research laboratory which explored adrenal and bone disease in children. In autumn 2011, he relocated with his family to Johns Creek and founded Pediatric Endocrine Specialists of Georgia. Dr. Bernard is a member of several professional organizations including the Pediatric Endocrine Society. Outside of work, Dr. Bernard enjoys spending time with his wife, Lakshmi and their two children.